Laurea University of Applied Sciences took the initiative in establishing the Finnish Chapter for Service Design Network on Oct. 23, 2012. Laurea strengthens thus its forerunner position in developing the Finnish service business. The three other founding SDN members are Lahti University of Applied Sciences, N2 Nolla Oy and Atwork Oy. All Finnish members of the international Service Design Network will automatically become members of the SDN Finland. The following week, Tarja Chydenius from Laurea and Lotta Buss from N2 Nolla Oy already represented the chapter in the international chapter meeting in the International SDN Conference in Paris. Nine already existing local chapters were sharing knowledge and good practices in their local communities. Many more people were interested in founding their own national chapters to promote service design locally around the world. Our SID students and everybody interested in service design are welcome to join the SDN activities to get started soon and also send good ideas for the starting phase. 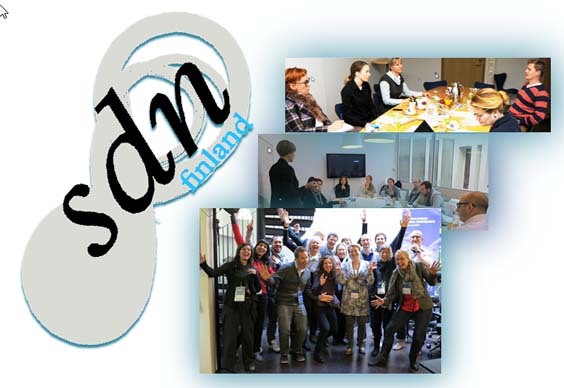 The SDN Finland website will soon be posted as part of the SDN site . Importance of visualization in design thinking.